Here’s any shows, print fairs, exhibitions or anywhere else I have some pieces on display. There’s a selection of my screenprints and drawings on display at the popular vegetarian cafe in Chapel Allerton, Leeds. Lovely coffee too. Ongoing. 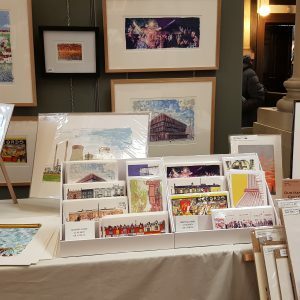 For the first time I’ve got a stall at Northern Craft Fair, which will be at Left Bank (Hyde Park) – Saturday 27th April 2019 11-5pm. I’ll be selling drawings as well as screenprints, cards and drypoint etchings. 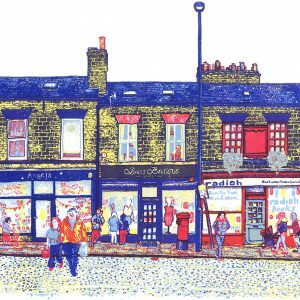 I’m exhibiting at Art at Roundhay for a few months. There’s some other paintings, design work and gifts to but too. A lovely setting for some lovely artwork. I’m back at Leeds Print Fair again. This year it’s at Trinity church and will be open 10am – 4pm. 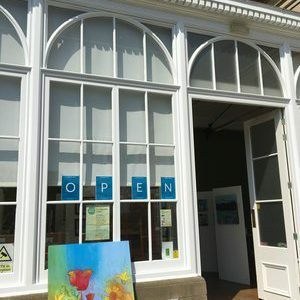 Come down to see lots of great artwork!